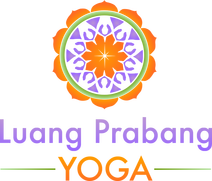 Luang Prabang Yoga is a cooperative of independent yoga teachers who offer yoga in Luang Prabang's most beautiful locations. Together with the students who live or have traveled here, we're a unique yoga community that believes in the connection between nature and yoga. Our community of teachers and students has grown beyond the borders of Laos and is now a truly global entity. We welcome you as part of the community. Julie began her yoga practice in 2003 in Boston, Massachusetts, in the United States. She studied at the Baron Baptiste Power Yoga Studios where she practiced Power Vinyasa Yoga, a dynamic flow, which synchronizes breathing and movement. Julie also apprenticed as a teacher’s assistant at Prana Power Yoga in Boston where she learnt how to guide, nurture and help students deepen their practice. It was here that she began to appreciate and understand the connection and energy between the student and the teacher. Julie trained as a teacher in Bali, Indonesia at Shakti Spirit Yoga with Rachel Hull. Along with a strong Ayurvedic component, the course taught a much gentler form of Vinyasa Flow Yoga, focusing on safety and touching upon yoga as a form of physical therapy. More recently, Julie completed an intensive training under the guidance of Edward Clark and Nikki Durrant of Tripsichore Yoga and continues her journey as both teacher and student throughout the year. Today, Julie incorporates all of her past experiences into her teaching style. She teaches Hatha Yoga, Power Yoga, Vinyasa Flow and Yoga Nidra. She teaches students at all levels including those who have never practiced yoga before. She hopes that students will walk away from her classes with a sense of peace, joy and positivity. Want to know the more personal side of Julie? Read her Interview with Light Stays. Mira is a 500hr certified yoga teacher, trained in India in classical Hatha and holistic yoga. Her teaching style focuses on slowing down each asana to reconnect with the body and quiet the mind in order to reap the therapeutic and transformative benefits of the practice. She has been practicing meditation and studying Buddhism and Mindfulness in the Theravada and Mahayana traditions under several great teachers in Asia and the West since being introduced in Sri Lanka in 2011, and became a certified teacher of Mindfulness Based Stress Reduction (MBSR) in 2017 in hopes of promoting peace and happiness by offering access to mindfulness practice to a wider audience. Antje practiced different types of yoga for 15 years until she moved to Thailand for a job. In Chiang Mai she started practicing Ashtanga and Vinyasa on a regular basis and only then did the Prana really hit her and she understood what is meant by 'Yoga is something I am, not something I do'. She wanted to learn more about the philosophy behind this movement therapy and spread the Love. Numerous workshops and the iflow Teacher Training in Ubud, Bali with Amy Pastore gave her the knowledge and courage to find 'her kind of yoga' and teach it. Antje's teaching style is fluid, modern, playful and dancy, reflecting the many sports and different types of yoga that have influenced her practice. She has been teaching yoga locally and internationally since 2013. Her classes are a perfect balance between intensity and centering and will leave students feeling high and smiling for hours. Kathy is an international yoga teacher currently based in Singapore. Although yoga and complementary health was always in her family, she only picked up yoga as a teenager during a spiritual seeking shortly after her mother passed. Through her practice, she learned to how find solace, balance and ease. This later hugely influenced the way she connects and teaches her students. Teaching since 2013, her classes draw from many different traditions which weave into an intuitive blend of Hatha, Kundalini, Yin and Thai massage. She is also a trained sound healer and often incorporates sound therapy and mantra invocation in her classes. Through breath, philosophy and movement, she hopes to help you find what feels good and ultimately cultivate a deeper connection with yourself. Having led over 20 retreats in various locations around Asia since 2016, Kathy enjoys creating and holding space for others to further their personal development and spirituality. When she’s not leading workshops and retreats, she runs a mentorship programme for newly trained and seasoned yoga teachers alike who are aspiring to turn their passion into a successful business. She also runs a leading community collective called Urban Yogis in Singapore. Working with a community of Teachers from all over the world, Urban Yogis offers a unique, fun and accessible way for everyone to enjoy yoga outside of the traditional studio setting. Jasmine Lake is the identical twin of Luang Prabang Yoga and Laos Yoga Retreat founder, Julie Moksim. She's a fitness coach, personal trainer and fitness instructor at some of London's top fitness studios. This year, Jasmine joined the Great Britain Benchpress Championship team and competes internationally. Julie and Jasmine will be running a combined fitness and yoga retreat in Indonesia under their new fitness and yoga lifestyle retreat concept, MENTARI Fit and Flow. Jasmine's approach to fitness customizes nutrition and training to each individual. This firecracker may be only 4'8", but she's fierce and fun. You will be wholly inspired to be the strongest and healthiest version of yourself that you can be.